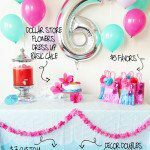 I created an inexpensive themed backdrop for just $4 using card stock and plastic tablecloths from the dollar store. 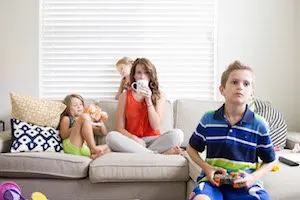 You can make a big impact for just a few dollars with just a few snips of the scissors! I used a tulle table skirt and vintage bunting to finish the table setting. I love the way the tulle kind of looks like a cloud amid the backdrop. 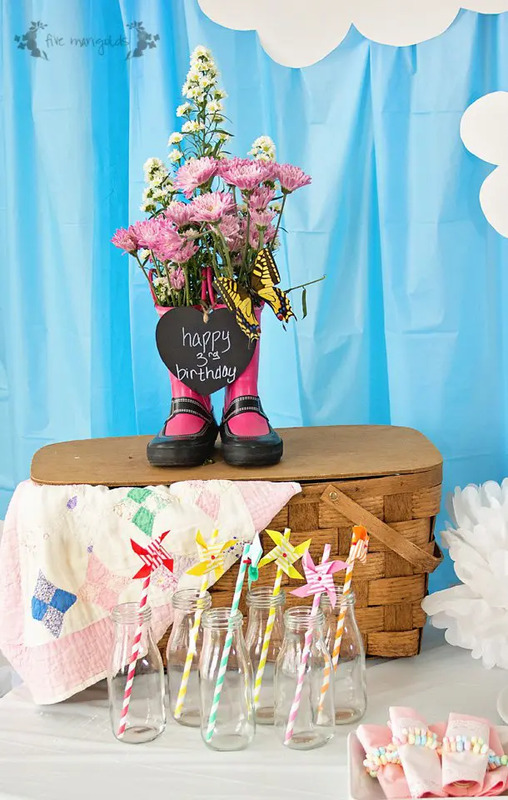 No picnic theme is complete without a picnic basket, so I added one to our centerpiece along with an old quilt and rain boots with some wild flowers. We had muddy puddle cake – chocolate cake with chocolate icing – served with a cute wooden spoon. 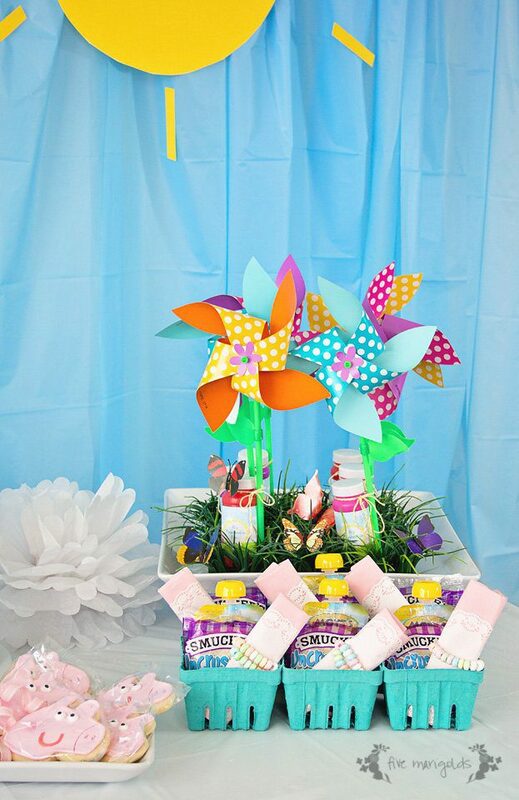 Favors were bubbles and a pinwheel with a custom label, “It’s Pinwheelie Fun!” (Psst…download the free Peppa Pig printables here). 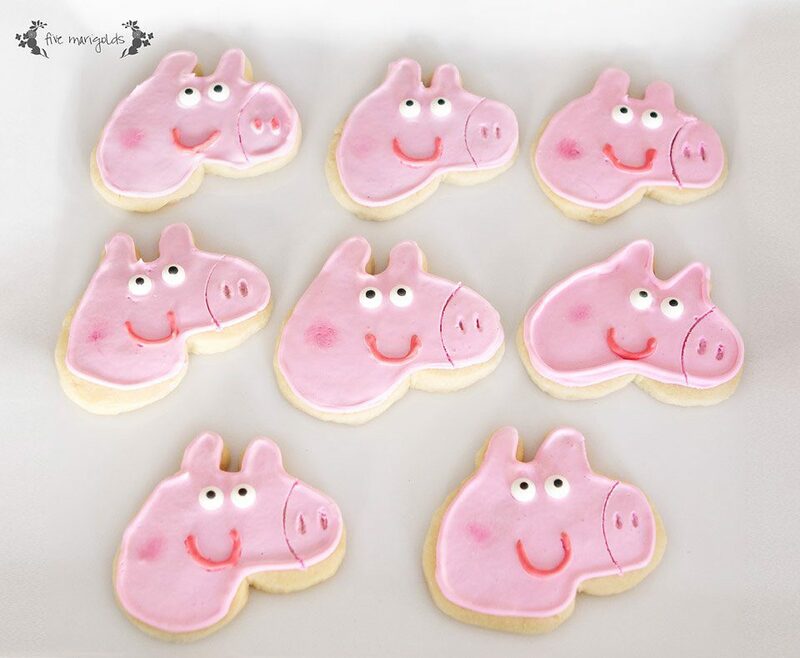 Guests also took home a Peppa Pig cookie, cut with my DIY custom cookie cutter. 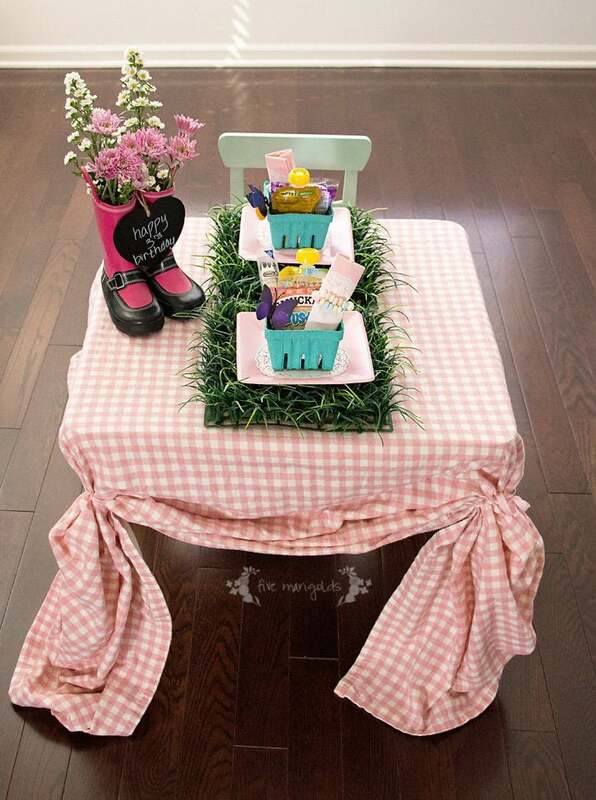 Little guests were seated at place settings of faux grass mats, and served a simple lunch in berry baskets. I secured the napkins and tableware using candy bracelets. The kids’ favorite detail of the party? 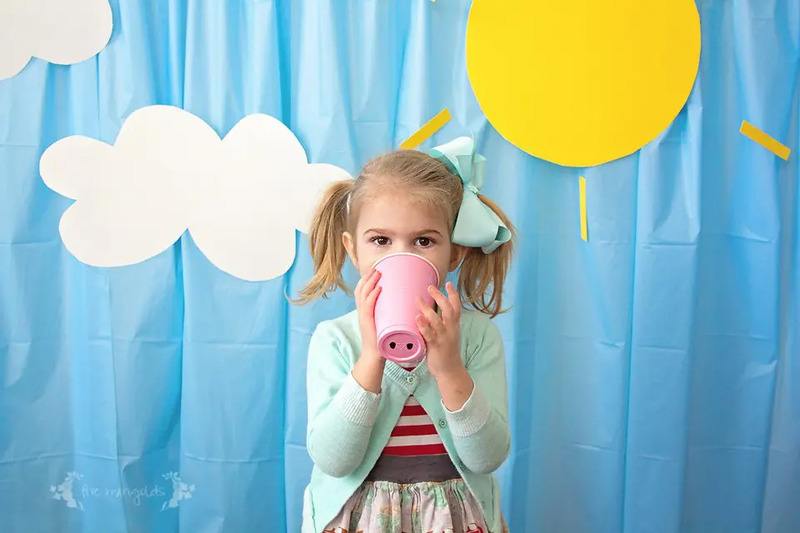 What is your favorite detail on this Peppa Pig Picnic birthday party? Please tell me in the comments below! 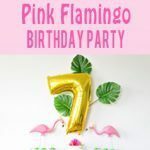 Be sure to check out more party inspiration on the blog, and follow along on Pinterest! Adorable! I love themed kids birthday parties (and having 2 I’ve thrown a lot of them 😀 ) My favorite is the berry basket with their lunch in it. That is so a.dorable. My granddaughter is in love with pigs, esp pink ones. I love the cake idea! Really cute! I love pigs and the cake idea! This party looks awesome! I love how cute and consistent the details of your decor are. My niece would go crazy over this party! This party is super cute! i love that the cups are little pig noses! 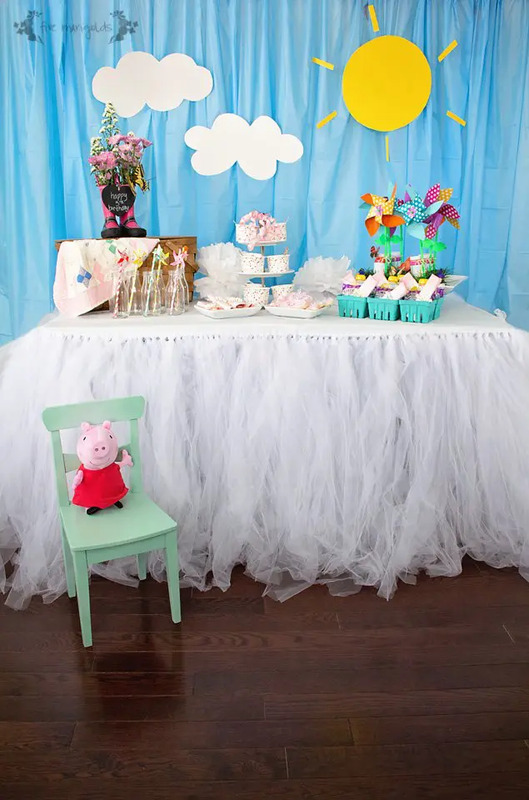 My daughter loves Pepa Pig and this would be so cute for a birthday party theme. 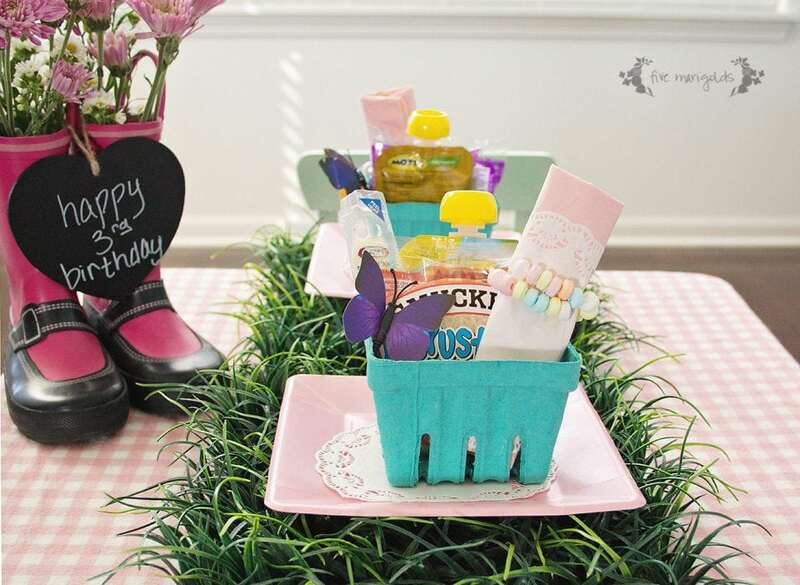 I love the tablescape you pulled together and the party favors in fruit crates – adorable! 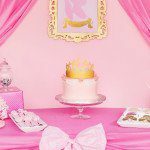 You did a fantastic job of making this a fun birthday party with lots of theme created items. I’m always impressed by creativity done on a budget. Great job! Awe this is just too cute. I love the peppa pig theme. 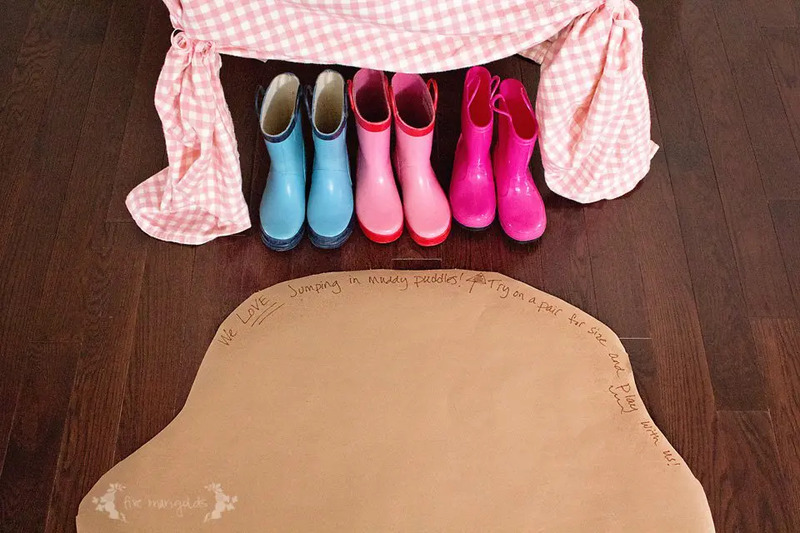 super cute pics and such a fun idea! check us out as well! How cute! My UPKer loves peppa pig right now, so I’m going to pin this now in case it is requested in the fall ? Thanks for sharing found you at ,Thursday favorites! This is so adorable. One of the children of a family I babysit for love Peppa Pig. I will have to share this with their mom! Real adorable! My daughter is in love with Peppa too! Where did you find these cute pinwheels?